Todd Brady is the Director of Finance and Investments at Brace Pharma Capital. He also serves as a director for Brace portfolio companies GeNO LLC, Avidity Biosciences and Tyrogenex, and formerly served as a board observer for Miragen Therapeutics. Todd has an extensive and diverse background in Capital Markets, working in equity research, asset management, private equity and corporate banking over the duration of his career. Todd has a Masters of Business Administration from the Schulich School of Business (York University) and is a Chartered Financial Analyst (CFA). 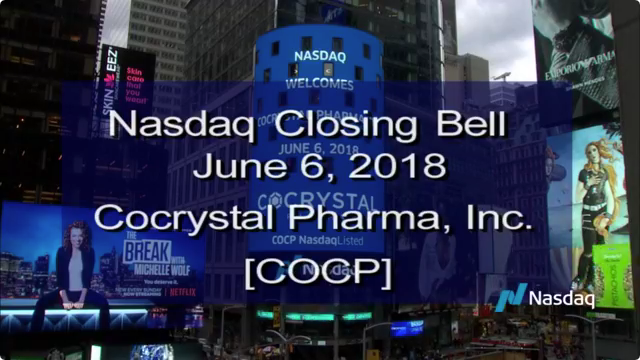 Phillip Frost, M.D., is the Chairman and CEO of OPKO Health, Inc. (NYSE: OPK). Dr. Frost is the former Chairman of the Board of Teva Pharmaceuticals (NYSE: TEVA). In January 2006 Teva acquired IVAX Corporation. Dr. Frost had served as Chairman and CEO of IVAX Corporation since 1987. He has served on the Board of Regents of the Smithsonian Institution, on the Board of Trustees of the University of Miami, as a Trustee of each of the Scripps Research Institutes, and is a director of numerous other organizations. Jane Hsiao is Vice Chairman and Chief Technical Officer of OPKO Health, Inc. She served as the Vice Chairman-Technical Affairs of IVAX from 1995 to January 2006, when Teva acquired IVAX. Dr. Hsiao served as IVAX's Chief Technical Officer from 1996, and as Chairman, CEO, and President of IVAX Animal Health, IVAX's veterinary products subsidiary, from 1998. She is a director of OPKO Health, Inc. and numerous other organizations. Anthony Japour, M.D. has served as a Medical Director of ICON plc, a global provider of outsourced drug development and commercialization solutions and services to the pharmaceutical, biotechnology, medical device and government and public health organizations, since February 2016. Prior to that, from April 2012 to February 2016, Dr. Japour worked as an internal medicine physician at Elite Health Medical Group in Miami, Florida, where he specialized in infectious diseases. Dr. Japour is also the owner and director of Anthony Japour and Associates, Medical and Scientific Consulting, Inc., a medical and scientific consulting firm he established in November 2006. Steve Rubin is Executive Vice President-Administration and a director of OPKO Health, Inc. Previously, he was Senior Vice President and General Counsel of IVAX. Prior to IVAX, Mr. Rubin was Senior Vice President and General Counsel of Telergy Inc. Mr. Rubin holds a B.A. from Tulane University and a J.D. degree from University of Florida.